It’s remained unclear just how crucial unmanned spy- and kill-drones were in making sense of the ambush, and then securing the compound, as it all went down in real time. As it turns out, very. In the immediate wake of the Sept. 11 attacks on the US Consulate in Benghazi, one thing became quite clear: US aerial drones, having never pulled out of Libya after Gaddafi’s fall, were given the greenlight to track down those thugs responsible for killing ambassador Christopher Stevens and three other American officials. But until now it’s remained unclear just how crucial unmanned spy- and kill-drones were in making sense of the ambush, and then securing the compound, as it all went down in real time. As it turns out, very. The New York Times, in what’s arguably the most detailed blow-by-blow accounting of the attacks to date, reports that not only did the CIA have a heavier hand in warding off the militants than previously speculated. The intelligence agency, now more a droned-out paramilitary outfit than ever before, had a few of its unmanned aircraft on the job with within a half hour of being tipped off to the attacks. Here, in brief, is how it shook out. An official familiar with the operation, speaking on condition of anonymity, told the Times that the military redirected an armed Predator drone, which at the time was gathering intel high over Darnah, some 90 miles away, “in time to oversee the mission’s evacuation.” In a span of 20 minutes all US personnel, save Stevens, had fled the scene under heavy fire. 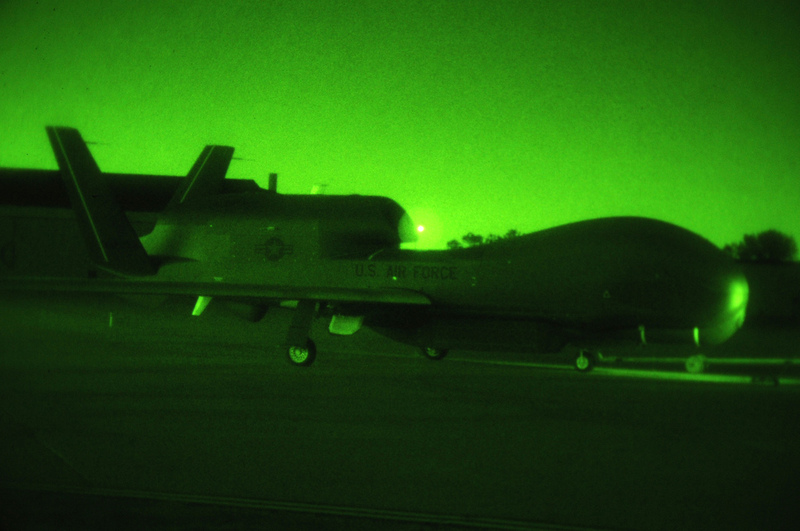 Shortly thereafter, during a four-hour lull in the clashes, the CIA took control of an unarmed military spy drone, possibly a hulking Global Hawk, in an effort to route possible escape paths out of the vicinity. “Reassuring images,” according to the Times, were relayed to both Tripoli and Washington. Politics aside, there’s no denying, now, that the buzz of drones over Benghazi did indeed prevent the loss of more American lives at the scene of the attacks. The entire piece is worth a read, if not for its harrowing play-by-play, then for the questions it raises over why the State Department didn’t ratchet up security at the consulate despite “a stream of diplomatic and intelligence reports” that pointed at a deteriorating situation in Benghazi and throughout Libya. Noticeably absent, however, is any mention of Libyan rebels already having a couple micro spy drones of their own.